While the concept of street food is very much a part of Spanish culture, it is still far more common to eat tapas or, as they are often called in the UK now, ‘small plates’, in a bar with friends. In some Spanish bars tapas have evolved from the simple yet tasty fare that includes mixed olives, tortillas, cheeses, boquitos (deep fried squid), allioli (garlic mayonnaise), patatas bravas and cured meats such as jamon iberico. 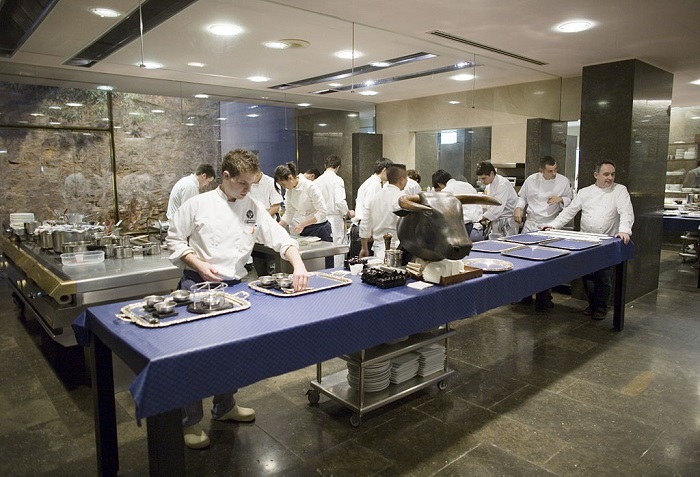 This food evolution has resulted in a highly sophisticated approach to the creation of tapas and it is suggested that the tradition was the result of originators such as San Sebastian based chef-patron Aloña Berri creating alta cocina en miniature – or miniature haute cuisine – in the eighties. However, it is still possible to find bars serving superb tapas all over Spain without breaking the bank to dine there. Perhaps the best-known Spanish chef is Ferran Adrià, whose legendary restaurant El Bulli gained 3 Michelin stars and was declared the best restaurant in the world. El Bulli was associated with molecular gastronomy, but unlike the other purveyor of this type of cooking, Heston Blumenthal, Adrià chose not to build an empire or expand. On the contrary, he insisted on a short opening season only 8000 people were able to dine there during the year, despite there being 2.3 million requests for a table each year. The innovation for which Adrià is most well-known is the creation of ‘’culinary foam’’. Adrià explored foams created without the addition of cream or egg white; instead creating these foams from a flavoured liquid and an additive (such as lecithin), before aerating through a variety of methods, including whipping with an immersion blender or extrusion from a siphon bottle equipped with N2O cartridges. Whilst Adrià’s food was astonishing, the Spanish food trend most noticeable in the UK would be the use of typically Spanish ingredients by home cooks as well as chefs. Gordal olives are considered to be some of the finest in the world: firm, plump and suitable for pressing for oil or as table olives, they are greener than might be expected and have a milder flavour than other varieties of olive. Chorizo is a staple in many a fridge and UK companies such as the Bath Pig produce their own versions of this Spanish sausage. Chorizo is a pork based sausage seasoned with smoked pimento. It is generally cured and smoked which means it can be used without cooking beforehand. There are many versions of chorizo found in Spain and each region will have a particular type of chorizo associated with it. 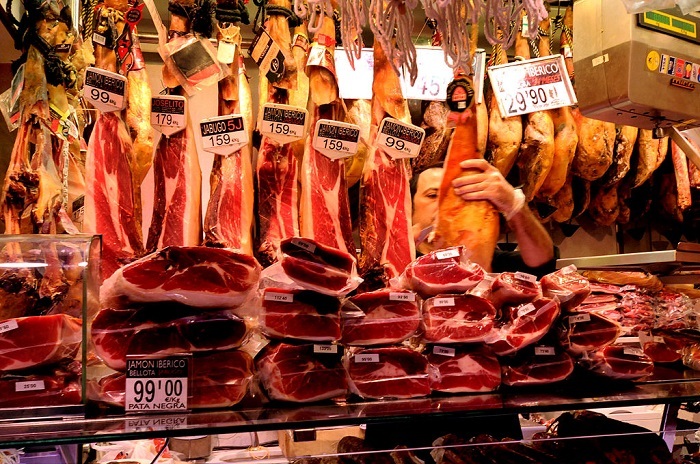 The other meat product with which Spain is strongly associated and which the British are embracing with gusto is jamón.There are two types of jamón – jamón ibérico and jamón serrano – which differ in their provenance. Jamón ibérico is the more prized and expensive of the two. But which other cuisines do the the Spanish enjoy? Indian food is gradually increasing in popularity, especially in large cities such as Madrid and Barcelona and areas such as the Canary Isles which not only rely heavily on tourism, but were also some of the first places in which migrants from India settled. It is certainly possible to dine on excellent Indian food in establishments ranging from simple curry houses to the most opulent restaurants. As with most countries, it is inevitable that Spain’s chefs and cooks will take some influence from Indian cuisine as the population becomes more attuned to Indian spices and cooking methods. In the foodservice industry, Asian foods are proving to be becoming more and more popular, with brands such as Cafe Asia seeing high demand for products such as samosas (vegetable, lamb and chicken) and falafel. It is expected that this popularity will continue to grow, with such products starting to become popular within the retail trade. The frozen food market in Spain is one that has been growing steadily year on year. A 2012 report from Kantar World Panel stated that 99% of Spanish households buy and consume frozen products on a regular basis, with the total value of the Spanish frozen food market growing by 38% over the previous 10 years. A Euromonitor report from January 2014 confirmed this trend, stating that an increase in busy consumer lifestyles had led consumers to increase their purchase of items such as frozen ready meals and pizzas. Datamonitor reports have confirmed the total spend on frozen food in Spain as $3,341.4m in 2013, suggesting that this is an area where new players can make their mark. 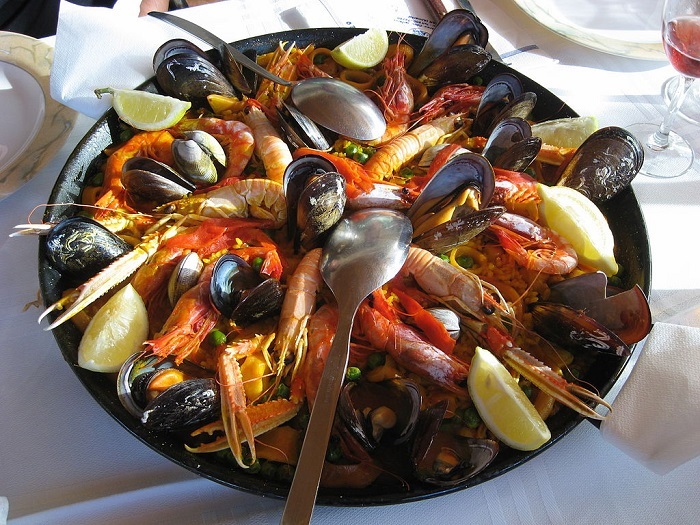 Spain has always been associated with meat and fish-based dishes such as pinchitos, paella and escabeche however it has been reported that restaurants in Spain are finally recognising the increasing numbers of vegetarians and vegans living in or visiting their country. In 2011, the Happy Cow vegetarian website listed 353 vegetarian or vegan restaurants in Spain. By 2014, the number had increased to 686, an increase of 94%. Over the same period the number of such restaurants in the UK has increased by 60%, from 842 to 1344. Whether this means that vegetables will now be treated with the same reverence as morcilla, a fine piece of cod or some fresh baby squid remains to be seen. Spanish food is growing ever more sophisticated and taking influences from other cuisines all the time. However there is still very much an emphasis on traditional Spanish foodstuffs but cooked or presented with a twist.